Daniela’s love for cooking comes from her father's side of the family, who are very passionate about food and cooking. Later she studied gastronomy at university and owns her own bakery now. She also conducts cooking classes for kids. Apart from food and cooking she enjoys going to the cinema, traveling, and learning about new cultures and cuisines. Daniela is very excited to share her rich Colombian gastronomy and its delicious flavors with travelers. 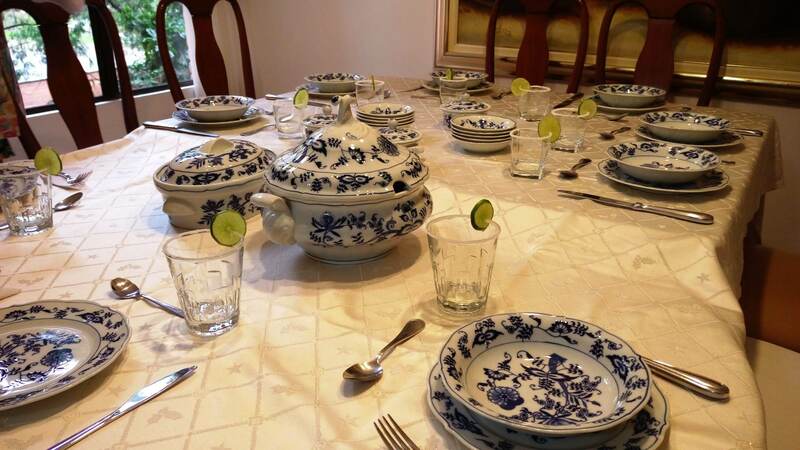 In-home meal: (1-9 guests) Daniela will welcome you to her cozy home, which is in a great neighborhood for a delicious Colombian meal and a nice chat with her warm Colombian family. You will surely leave feeling loved listening to their wonderful stories and trying some of their traditional family dishes. Few dishes that you may try are Colombian picada (a platter of fried meats and vegetables), ajiaco (traditional soup), sudado de muchacho (meat and potato) and your meal will end on a sweet note with mazamorra (a traditional dessert made with corn). Cooking experience: (1-9 guests) Join Daniela and her mother in their kitchen for a hands-on cooking class. You learn to prepare 2-3 authentic homemade Colombian dishes that you will later share with the family at their dining table, such as arroz con pollo (rice with veggies and chicken), arroz con leche (a sweet rice pudding) and papa rellena (stuffed potatoes). The cooking portion of the experience will last for 1-2 hours. Market visit: (1-9 guests) After you meet Daniela at her home, you will walk to the local market, ​Mercados Campesino. Here they sell a wide variety of local products including fresh fruits and vegetables. Daniela will teach you about the local ingredients used in Colombian cuisine and the history behind the country's diverse food. After you pick up few ingredients from the market, go back to Daniela’s home to learn how to cook with her mother. This market is only available on Sundays. This is a Must Visit for Medellin! My daughters and I were interested in learning about traditional cooking methods and dishes for Medellin and we all agreed that the visit with Daniela and Beatrix was the absolute shining star of our visits. First, Daniela and Beatrix welcomed us into their home and then introduced us to the ingredients and their preparation. These are experienced chefs! We peeled five kinds of potatoes for Ajiaco along with shredding tender chicken and onions. They shared their family recipes and secrets (their home-made bouillion is amazing and such a healthier direction from "bouillion cubes") then they drove us to a local market where we walked around, tasted, and tasted, and tasted some more from samples of breads, cheeses, jams, etc., then watched people make an amazingly refreshing drink from limes and sugar cane. We went back to their apartment and finished the preparation for the meal - flattening and frying plantains for panacotes and making the amazing guacamole to accompany them and then creating the three-milk blend for the tres leches to soak into the tres leches cake. The whole experience was just delightful, insightful and enlightening, and Daniela and Beatrix had welcomed us so warmly into their kitchen that it felt like a bunch of family members all working together to put a delicious meal on the table. What an absolutely delightful experience. I highly recommend these two women to you as cooks and two welcoming Medellin women ready to share the cooking traditions of a Colombian kitchen with you. Mucho Gusto and Gracias, Daniela and Beatrix! Bravo! Easy booking, great communication from booking, to making plans, and everything in between - Daniella was a top class host and we enjoyed our time with her and her Mom - highly recommended. Thank you so much! I had an absolutely wonderful time with Daniela and her mother Beatriz -- I would highly recommend this activity to other tourists visiting Medellin, as it was one of my favorite moments during my trip to Colombia! 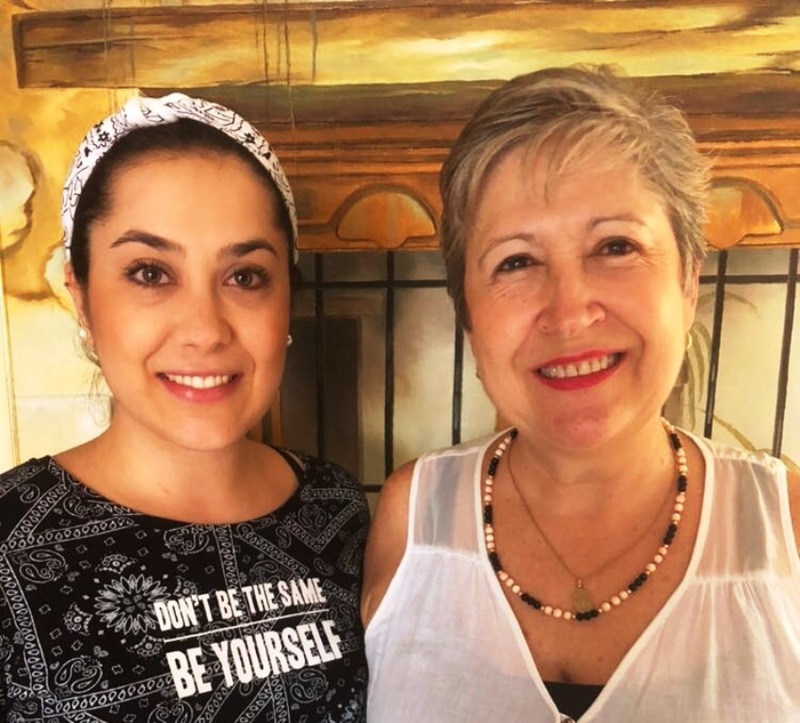 Daniela and Beatriz are warm, welcoming and kind and make you feel welcome in their home from the moment you show up at the door with big hugs and smiles, to the moment you walk out making sure you know how to get back, etc. -- they really exemplify the true hospitality of the Colombian people! 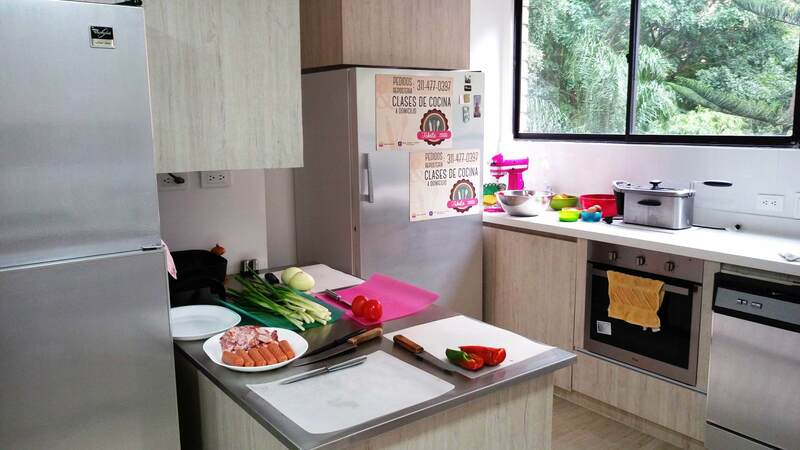 The cooking activity itself was highly organized and professional -- Daniela was well-prepared with the portioned out ingredients in stations which made for a very smooth, efficient cooking process and she is a very talented chef, so the resulting meal ended up being absolutely delicious!. I really enjoyed having the opportunity to sit down with Daniela and her mother for dinner, chatting about their lives and experiences and truly having an opportunity to connect with local Colombians in an authentic way. From their hospitality to their professional nature to their delicious food to their wonderful company... I can't say enough good things! Thank you to Daniela and Beatriz for such a wonderful, memorable experience. Highly recommended! Daniela and her mother have an amazing personality - very bubbly and welcoming and were happy to answer all our questions about the food, where it was from and the history of Medellin and Colombia. They were great company! The food was great and they live in a very nice, clean and welcoming home. We cooked some fried plantain, which was the best I've ever had!